This gorgeous stone is called Sea Sediment Jasper and, has sand color running through it. 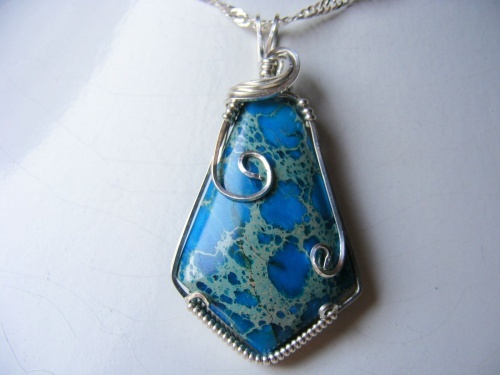 This pendant has been embelished with argentium silver curls. The color is striking!! Comes with a sterling silver chain.